Nadine Sullivan, and her brother Bruce Gage, started their business, Eco Depot, in 1994 in an Airstream trailer with a phone and a fax. Their idea was to open a business focusing on being the premier source for environmentally sustainable products and services, with a focus of educating consumers while providing them a marketplace for those products and services. Now, as Eco Depot celebrates 20 years in business, they have a location that is not on wheels, 1326 East Sprague (at Perry) in Spokane. In addition to providing a wide variety of green products, starting in 1999, they have grown to become the region's premier source for expertise in solar power and the products to deliver that power. Eco Depot offers many products to make your home an eco-paradise. Their beautiful showroom now highlights all of the green products they sell. From natural lighting, paints and finishes, cleaning products and the Ecosmart Fireplace. While Nadine, a past president and one of the founding members of the Inland Northwest Spokane Chapter of NAWBO (Inland Northwest Chapter of National Association of Women Business Owners), runs the store, Bruce heads up all consultations, sales, design and installation of residential and commercial Solar Energy systems. Because of Bruce's expertise and experience in solar power, Eco Depot is one of two businesses east of the Cascades to have a NABCEP Certified Solar PV Installer. He has over 150 successful installations in Washington, Idaho, Oregon and Montana. He knows everything there is to know to answer any questions concerning home and/or business conversions to Solar Electricity. The Community Building located at West 35 Main was Eco Depot's very first commercial solar installation. With the aid of a benefactor, those involved with the Community Building decided to remodel their present facility and at the same time readdress their energy efficiency. They called on Eco Depot, and enlisted Bruce to help them understand the process and what needed to happen to go green and save money with their energy costs. Bruce met with the individuals responsible for this major decision and walked them through the onsite survey explaining the entire process from beginning to a successful solar energy installation. Bruce was extremely efficient in the transfer of information and how solar energy would work for the Community Building and when they would begin seeing a savings in their costs for heating and cooling the building. The Community Building, is now enjoying the freedom from huge energy costs and benefitting the environment with clean use of solar energy. The transition was so successful, that the Main Market Co-op, located across the street at 44 West Main Avenue, decided to reinforce their commitment to serve the community with less waste and benefit the environment and converted to solar power. For more information on their environmentally sustainable products and solar installations, contact Eco Depot at 509-924-8803, or visit them at 1326 E Sprague Avenue. The website is www.ecodepotinc.com. The University of Washington is in the process of remodeling the former Visit Spokane Visitor Center building at the corner of Main and Browne. The UW Spokane Center, will serve Spokane-area alumni, students, prospective students, parents and supporters, with space for meetings and special events. The UW plans to open the new center in May. The long awaited opening of David's Pizza at their new location, 803 N Post Street, next to the Flour Mill is finally here! Serving great pizzas and other delicious items. Call 509-483-7460 or visit Davidspizza.com or find them on Facebook. Welcome back David's Pizza - we've missed you! The Gonzaga University Women's Basketball Team defeated Oregon State University in the second round of the 2015 NCAA Division 1 Women's Basketball Championship to advance to the Sweet Sixteen in the Spokane Regional. They will play at the Spokane Arena on Saturday, March 28 against the winner of the Tennessee/Pittsburgh game. Duke University has also advanced to the Sweet Sixteen at the Spokane Arena and will play the winner of the Maryland/Princeton game. Guests at the Spokane Regional will be part of the Sweet Sixteen and the Elite Eight and will watch one team earn the right to play in the Final Four in New Orleans. Tickets on Sale now at the Arena Box Office or at Ticketswest.com. Great recognition for 6 Spokane restaurants in an article published in last Friday's Wall Street Journal entitled '6 Great Small Cities for Food Lovers'. The article features several restaurants here in Spokane including Durkins, Italia Trattoria, The Wandering Table, Sante, Mizuna and Casper Fry. You can read about it at www.wsj.com/articles/the-next-place-you-should-eat-in-america-1426263405. Village Toffee Haus, a candy company with roots in Leavenworth, Washington is moving their business to Spokane. They will be located at 4424 N. Wall in a building formerly occupied by Johnson's Television Service. Village Toffee Haus makes specialty toffee, fudge and gift baskets and will also sell locally made products like soaps, honey and jams. Sweet Burrito started as a food truck at the Sturgis Harley Davidson Rally in 2011 and has grown to a group of restaurants with seven locations. They are opening in Spokane Valley in May, at 15727 E. Broadway Avenue. One of their unique creations is a monster cheeseburger burrito with smoked bacon, crispy French fries, fry sauce and American cheese in a massive tortilla. You can learn more at their website sweetburrito.com. Catered For You, Spokane's creative offsite, full-service, catering company has added Nick Schauer to its Sales and Marketing team. Nick has extensive experience in both catering and sales - working for 4 years in catering at one of Seattle's most prestigious restaurants, Salty's at Alki, and later, in Spokane, in sales and marketing for over 10 years in the printing industry. Linette Herrera, owner of Catered For You says, "We are really excited to have Nick on board. In his short time here, I can already see his talents and expertise. We anticipate great things." Nick can be reached at Catered For You at 509-624-9686 or Nick@Catered4You.com. 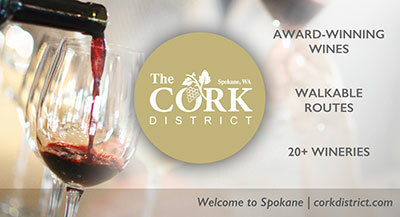 The National Association of Women Business Owners (NAWBO), Inland Northwest Chapter is hosting the 8th Annual Uncorked! a special evening of Wine, Beer, and Spirits Tasting and Auction to be held this Friday, March 27 from 6-9pm at the Martin Woldson Theater at the Fox. 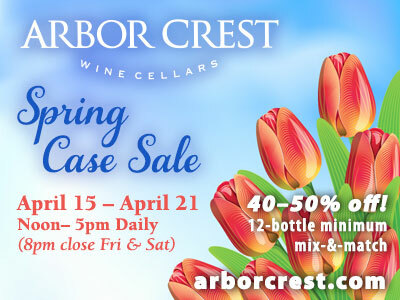 The event will spotlight four local wineries (including Coeur d'Alene Cellars and Patit Creek Cellars) and local brewery, Waddell's, Cocktails by Cody, and small bites with each offering. A Silent Auction will round out the evening. And for the first time, the chapter will bestow the 'Spirit of NAWBO' Award to a local company with a history of support for women owned business concerns. Funds raised by this event are used to support NAWBO chapter activities and 'Transitions', a Spokane based non-profit organization that works to end poverty and homelessness for area women and children. Tickets are $65 and available through Ticketswest at www.ticketswest.com or 800-325-SEAT. Lakeside Recovery Center has hired Jaime Peterson as the Clinical Director of the chemical dependency rehabilitation facility located at 3710 North Monroe. She holds a BA in Child Developmental Psychology and Alcohol and Drug Studies Certificate from Eastern Washington University and has been a Chemical Dependency Professional (CDP) for over nine years. Her extensive substance abuse work experience and therapeutic modality training include: mental health, severe physical trauma, emotional abuse, eating disorders, self-harm, Dialectical Behavioral Therapy (DBT) and suicide prevention. The Visit Spokane sales team continued to keep the momentum moving forward in the month of February. In a month with only 28 days and a few holidays, the team generated 26 leads representing 32,075 room nights. Last year during this same time period they generated 22 leads for a total of 25,997 lead room nights. The team exceeded the monthly lead goal by 160%. Prospecting for future business continued to be very strong in February with 22 bids being sent by the team. That puts the team at 210% year over year and 169% above the monthly goal. The convention services team in February worked with 52 clients on details for their upcoming events. These groups had the services team send out 95 services referrals and eight services requests to our partners. The housing team processed 220 reservations that equate to 1,002 room nights in the month of February. Currently, the team is working with three organizations for their upcoming 2015 events in Spokane. The awards were given out at a gala last week. Congratulations to all the winners! Born and raised in central Europe, Sven Osusky came to the United States in 1988. During his electronics training at ITT Tech in Seattle, he held a full time job at Phil Smart Mercedes. Sven then made a career move that brought him to Carter VW in Ballard, WA in 1990. Sven's career with Volkswagen dealerships continued another 20+ years through early 2011. From 1999-2011, Sven was the lead technician and Shop Foreman at Appleway VW/Audi in Spokane Valley. Sven's passion for European cars and dream of working for himself became reality in 2011. Sven and his wife, Heidi - opened EuroPro Automotive and within 6 months had enough work to add an additional technician. Joining Sven and Heidi over the next 3 years, the team has expanded to 3 technicians, a parts manager, service writer, and part time receptionist. EuroPro Automotive is the Inland Northwest's only GIAC dealer for software tuning, and also a certified Bosch Service Center. This past January, EuroPro Automotive moved into its permanent location at 11905 E Sprague in the Spokane Valley. With the larger facility, EuroPro Automotive has expanded the parts department for retail and wholesale sales. The repair shop has 10 bays, with 8 hoists and state of the art diagnostic and repair tools. EuroPro Automotive averages 13-16 vehicles per day in for service and repair. They are hosting a customer appreciation open house and grand opening of their new facility this Friday, March 27 from 3:30-7:30 pm. Advanced technology meets a Northwest-inspired natural design at PEMCO Insurance's newest Spokane office space in Spokane Valley's RiverView Corporate Center. The locally based insurer has relocated from its former downtown location in the Freeway Plaza Building to 16201 E. Indiana Avenue in Spokane Valley. The open-office setting is a departure from PEMCO's previous Spokane office, which spread employees across five floors over the past 13 years until the company recently reached the end of its lease agreement, prompting the relocation. The move reinforces PEMCO's commitment to Spokane through a new 10-year lease, strengthens the company's contingency capabilities, and positions it for eventual growth into Idaho. Long-term, PEMCO will keep three locations: Seattle, Lynnwood and Spokane. PEMCO currently has 570 employees, with about 80 of those at its office in Spokane. Allison Kackman, ARNP, is now working exclusively for Touchmark on South Hill. Previously, she served residents two afternoons per week through her role with Mobile Medicine. Kackman is actually returning to Touchmark as a team member. She began her career with the retirement community 19 years ago as a licensed practical nurse. She earned her associate degree in Nursing in 2005, her Bachelor of Science in Nursing in 2008 and her master's in 2010 with certification as a Family Nurse Practitioner. A full-service retirement community, Touchmark on Spokane's South Hill offers a range of homes and lifestyles. More information is available at Touchmark.com.